Improve your young learner’s printing, writing, spelling, and pronunciation with Sprout’s Phonics Cafe! This section starts with the alphabet and works up to letter combinations and words that are difficult to pronounce and spell. This week we’re featuring our colorful lesson on the letters S to Z. 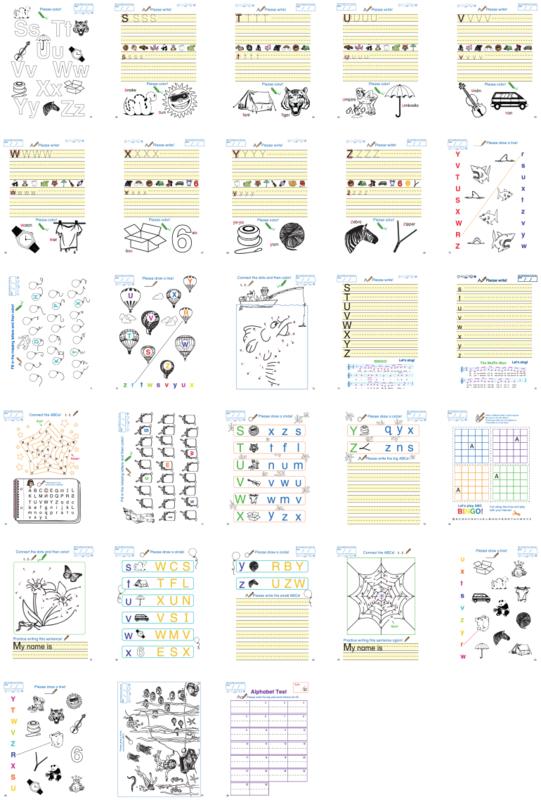 This comprehensive, 28-page phonics lesson can be completed over several days so that your learners get as much practice as they need. It starts off with simple printing exercises for the uppercase and lowercase letters S through Z. The colorful images also give learners a chance to practice their pronunciation. These exercises are followed by a variety of fun activities, such matching exercises and word puzzles, so that your students will get ample practice recognizing, saying, and writing these letters without getting bored! Find this lesson in the Phonics Cafe – Book 1.